Could Bankruptcy Help Resolve Business Debt? Can Bankruptcy Help Business Debt? What are the warning signs that a business may need to consider Chapter 11 bankruptcy, and what is the best course of action? 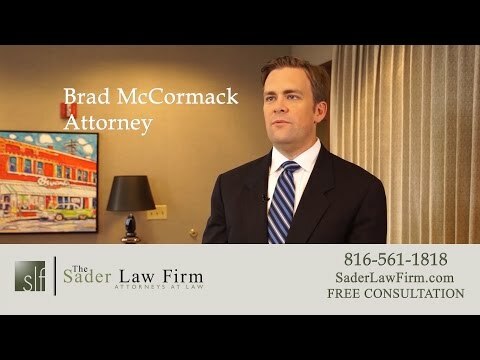 In this video, Kansas City bankruptcy lawyer Brad McCormack discusses business bankruptcy and your options for protecting your company from financial ruin. To speak to a Kansas or Missouri business bankruptcy attorney, you can call our law firm at (816) 281-6349 or you can fill out our online case review form. Well, obviously one of the major warning signs for a business if they were coming up on a foreclosure date, if they have a secured creditor who’s threatening some very serious legal action against them, that’s sort of a drop-dead date that something has to be done if you want to keep your business during that time. Other signs are just the feel that the small business owner has, that there is too much debt, there are bills that can’t be paid, there is too much stress on the company for it to go forward. At that point, they really need to look at it and talk to a business bankruptcy attorney to see if there are options in the business bankruptcy world in order to reorganize and get out of that situation so that the business can become profitable. For more information about this, feel free to check out our website, SaderLawFirm.com, or call in at (816) 281-6349.